Computer Users’ Club is the most active club of the MGM’s College of engineering. This club is formed by students of the Computer Science and Engineering Department. This club provides a platform to the students of Computer Science and Engineering Department to explore them and also to express their views in front of everyone. This club organizes many events and tries to keep the department students active throughout the year. The interviews are conducted by panel of faculty members consisting of the H.O.D. of CSE Department, senior lecturers and the CUC faculty coordinators. The Students’ Council of the Club consists of Vice President, Secretaries, Treasurer and event heads. For every post many students of the department submit their performance records and the interviews are conducted by the HOD and the Coordinator of the Club. On the basis of interview and analysis of the performance record, the following CUC Council for the year 2018-19 has been constituted. 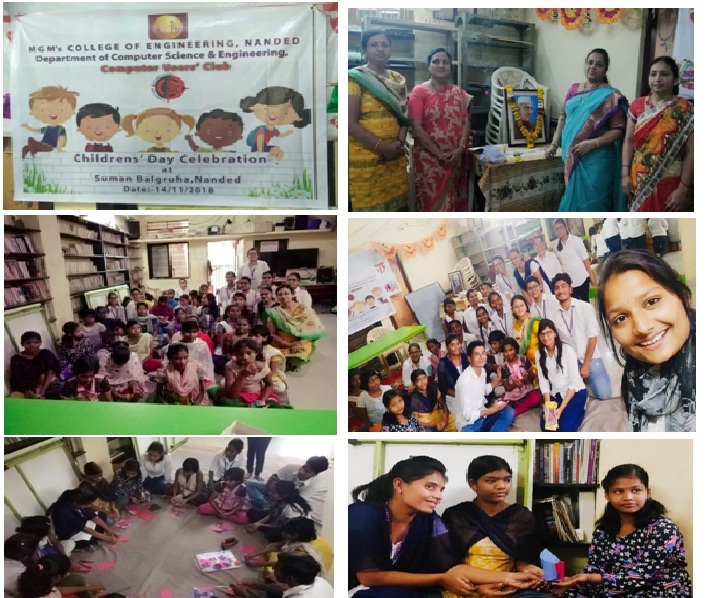 On 25th of january , 2019 the students of computer users club under the guidance of Dr. Mrs. Geeta S. Lathkar, Dr. A. M. Rajurkar HOD of computer department and president of CUC and Ms. Nikita S. Pande CUC coordinator gave a visit to Z.P. school , khergaon. The school consists of 1st to 8th standard. 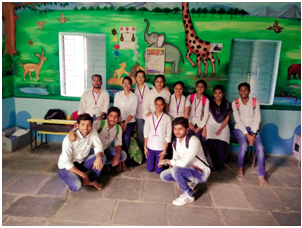 The CUC members conducted various fun learning games for standard 1st to 4th in which the students participated enthusiastically. To encourage them sweets where distributed among participants and winners. The children were so interested about the ongoing events, they came forward and told us different stories, recited poems, and showed us there amazing moves. All students including CUC members and the teachers enjoyed the event .The students were happy after receiving the sweets. After the event of 1st to 4th CUC members got a chance to attend the assembly which was a half an hour long affair. During assembly they were so disciplined and every one of us took a pledge about voting as it was a National Voter's Day. After finishing assembly activities for 5th to 8th standard students were conducted. 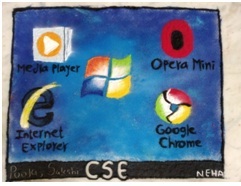 One of the CUC members taught the children of class 5th to 8th standard about the computer, the various devices of computer and how to paint. There grasping power was superb and they were responding very well. Looking at their energy we got more energy to teach them. Then to motivate them an inspirational story was told to which the children were listening quietly as they were really getting motivated. On the occasion of inauguration Director of MGM’s COE, Dr Mrs. Geeta Lathkar, HOD of the CSE department, who is also the president of the club, Dr. A.M. Rajurkar, and all the staff members of the CSE department were present. In presence of the entire staff member the CUC Council was announced and formally inaugurated. On the occasion of Engineers day a small program was organized by Third year students for the department staff members and Final year students. In this program all the staff members were felicitated by the students and some fun loving games were arranged for the staff members. Third year students presented a nice video in which all the staff members expressed their views regarding the final year students. 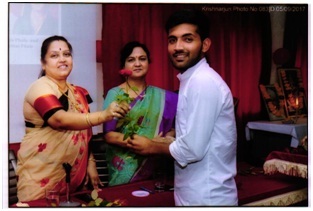 The program was conducted in the presence of Director Dr. Mrs. G. S. Lathkar madam. This activity helped to develop a friendly relation between staff members and students. A wall magazine is a periodical run on the notice board, especially in an educational institute where the students and other members of the institution can post their articles to share with each other. Wall magazines are a medium within the educational institutions for the students to express their creativity. CUC publishes many wall magazines throughout the year on many technical and social topics. The 1st wall magazine of the CUC was on the subject “ARTIFICIAL INTELLIGENCE AND MACHINE LEARNING” which was inaugurated by, Dr. G. S. Lathkar Director & President of CUC Dr. Mrs. A. M. Rajurkar and all the CUC members and faculty members on the occasion of “Gandhi Jayanti”. The 2nd wall magazine of the CUC was on the subject “BLOCK CHAIN”. It was inaugurated by our own HOD madam Dr. A. M. Rajurkar on 1st November 2018. Second wall magazine on 1st November 2018. Orphanages are an important part of our society as they give children the kind of upbringing they need regardless of their family situation. Too often children find themselves in a situation where they don't have parents to take care of them. The reasons can be many but at the end the result is the same they become kids with nowhere to go and no way to get the proper care they need. That is why people need to visit orphanages more often to help out the kids so they don’t feel completely left out. 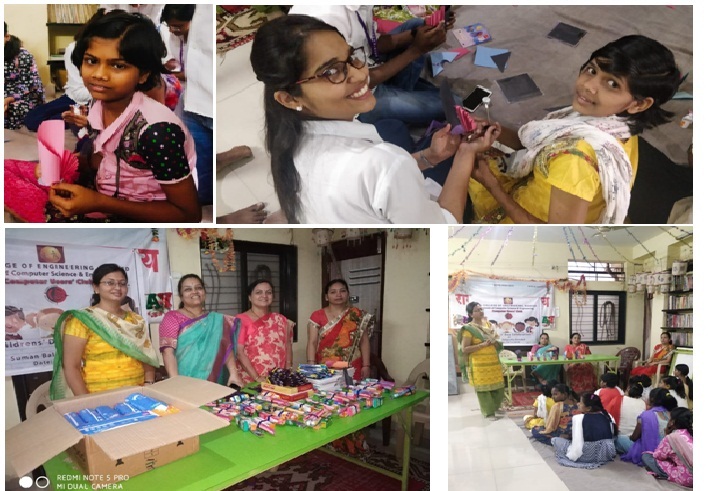 So on the occasion of children’s day on 14 November COMPUTER’S USER’S CLUB (CUC) gave a visit to orphanage of girls named as “SUMAN BALGRUH” with 33 number of girls present of the age group 6 to 18. Mr.Anil Dinkar is the owner of this home like orphanage. He and his wife take care of the girls and look after them like their own children.As we reached we were welcomed by smiling faces. Respected director Dr Mrs. Geeta Latkar and honorable HOD of computer science department Dr Mrs. A.M Rajurkar started the program of children’s day by offering garland on the frame of honorablePandit Jawaharlal Nehru. After that we took a small workshop on crafts for the girls of age group 6 to 10. They enjoyed a lot making and learning new things teached by CUC members. Along with the kids the members were also involved in the activity and had a good interaction with the kids. 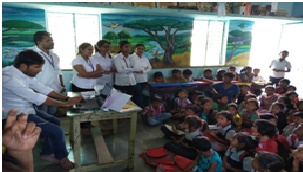 After completion of this activity coordinator of cuc Mrs.Nikita pande madam conducted a talk on mensurational hygiene, good touch, bad touch, and the problems that girls face in there day to day life. This motivational talk helped them to grow their knowledge about how to handle the problems occurred during this days. Madam also cleared there personal doubts and made them understand the difference between the good touch and bad touch and what should they do if such kind of situation occur. Although the girls were really smart and they responded enthusiastically. Respected director madam and HOD madam also had a friendly talk with them and gave them valuable lessons. They all really enjoyed talking with director madam and HOD madam. Madam also invited them to visit MGM College for picnic and they all promised to come. After thatwe distributed sweets, chocolates, sanitary napkins, books, and some little things among the girls which they needed in there day to day life.The joy of getting the gifts were seen on their beautiful faces. 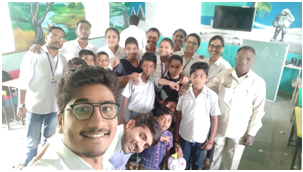 We clicked some pictures along with them to keep this happy moments with us forever and we left the orphanage saying goodbye to them and promising them to visit again soon.